Schedule of play on Day 5 of the Australian Open at Melbourne Park. 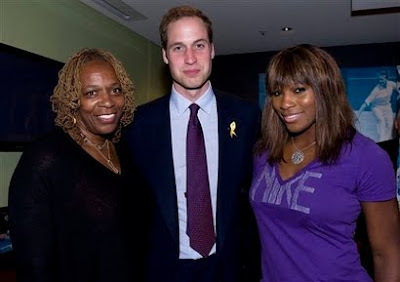 Roger Federer and Serena Williams, the king and queen of tennis welcomed Prince Williams at the Rod Laver Arena yesterday. 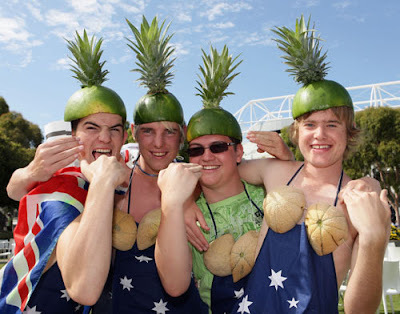 The Prince of Wales is visiting Australia this week and the trip wouldn't be complete without stopping by at the craziest Grand Slam tournament. 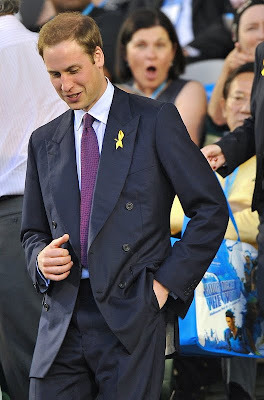 Judging from the lady's reaction in this picture, I think Prince Williams can beat Federer hands down anytime. Fabio Fognini/Potito Starace (ITA) bt Jeremy Chardy/Marc Gicquel (FRA) 5-1 ret. 11-Simon Aspelin (SWE)/Paul Hanley (AUS) bt Marcos Daniel (BRA)/Daniel Kollerer (AUT) 6-1 6-2. 3-Lukas Dlouhy (CZE)/Leander Paes (IND) bt Leos Friedl/David Skoch (CZE) 6-3 6-1. Igor Andreev/Evgeny Korolev (RUS) bt Sergiy Stakhovsky (UKR)/Mischa Zverev (GER) 6-1 7-6(6). Eric Butorac/Rajeev Ram (USA) bt Thomaz Bellucci/Andre Sa (BRA) 6-3 6-4. Schedule of play on Day 4 of the Australian Open at Melbourne Park. It's another missed opportunity for Elena Dementieva at the Grand Slam after beaten by comeback queen Justine Henin yesterday. Fresh from winning in Sydney last week, she came to Melbourne with confidence to clinch a Grand Slam title which is still missing from her trophy list. Dementieva lost 7-5, 7-6 in the high-pressure match at Rod Laver Arena. In the men's singles, US Open champ Juan Martin del Potro battled for over four hours before winning 6-4, 6-7, 5-7, 6-3, 10-8 against James Blake to reach the third round of the Australian Open. Another notable match yesterday was the one between Marin Cilic and local boy Bernard Tomic. Cilic survived the match with a 6-7, 6-3, 4-6, 6-2, 6-4 victory over the 17-year old. 14-Marin Cilic (CRO) bt Bernard Tomic (AUS) 6-7(6) 6-3 4-6 6-2 6-4. 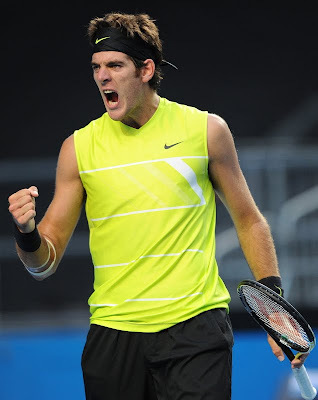 4-Juan Martin Del Potro (ARG) bt James Blake (USA) 6-4 6-7(3) 5-7 6-3 10-8. Florent Serra (FRA) bt Jarkko Nieminen (FIN) 3-6 6-4 5-7 7-6(4) 7-5. Ivo Karlovic (CRO) bt Julien Benneteau (FRA) 2-6 6-1 6-3 6-3. Florian Mayer (GER) bt 29-Viktor Troicki (SRB) 4-6 6-4 7-6(2) 6-1. 12-Gael Monfils (FRA) bt Q-Antonio Veic (CRO) 6-4 6-4 6-4. 19-Stanislas Wawrinka (SUI) bt Igor Kunitsyn (RUS) 6-3 6-2 6-2. Melinda Czink (HUN) bt Stefanie Vogele (SUI) 5-7. Tsvetana Pironkova (BUL) bt Galina Voskoboeva (KAZ) 6-4 6-4. Julia Gorges (GER) bt Tamira Paszek (AUT) 6-0 3-6 6-3. 4-Caroline Wozniacki (DEN) bt Aleksandra Wozniak (CAN) 6-4 6-2. Iveta Benesova (CZE) bt Chang Kai-Chen (TPE) 7-5 6-2. 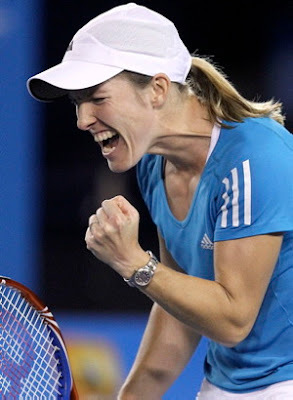 Justine Henin (BEL) bt 5-Elena Dementieva (RUS) 7-5 7-6(6). Roberta Vinci (ITA) bt Vania King (USA) 7-6(7) 7-5. Maria Kirilenko (RUS) bt Yvonne Meusburger (AUT) 6-3 6-1. 8-Jelena Jankovic (SRB) bt Katie O'Brien (GBR) 6-2 6-2. Sara Errani (ITA) bt Ekaterina Makarova (RUS) 6-2 6-3. 27-Alisa Kleybanova (RUS) bt Sorana Cirstea (ROU) 6-4 6-3. 2-Dinara Safina (RUS) bt Barbora Zahlavova Strycova (CZE) 6-3 6-4. 31-Alona Bondarenko (UKR) bt Polona Hercog (SLO) 6-4 7-5. Angelique Kerber (GER) bt 26-Aravane Rezai (FRA) 6-2 6-3. Yanina Wickmayer (BEL) bt 12-Flavia Pennetta (ITA) 7-6(2) 6-1. 19-Nadia Petrova (RUS) bt Kaia Kanepi (EST) 6-4 6-4. Zheng Jie (CHN) bt 24-Maria Jose Martinez (ESP) 2-6 6-2 6-3. 11-Marion Bartoli (FRA) bt Sandra Zahlavova (CZE) 6-4 6-4. 15-Kim Clijsters (BEL) bt Tamarine Tanasugarn (THA) 6-3 6-3. Elena Baltacha (GBR) bt 30-Kateryna Bondarenko (UKR) 6-2 7-5. 2-Daniel Nestor (CAN)/Nenad Zimonjic (SRB) bt Samuel Groth/Jason Kubler (AUS) 7-6(5) 6-3. Kaden Hensel/Greg Jones (AUS) bt Paolo Lorenzi (ITA)/Christophe Rochus (BEL) 7-6(3) 3-6 7-6(2). Leonardo Mayer/Horacio Zeballos (ARG) bt 12-Marcelo Melo/Bruno Soares (BRA) 7-6 6-4. 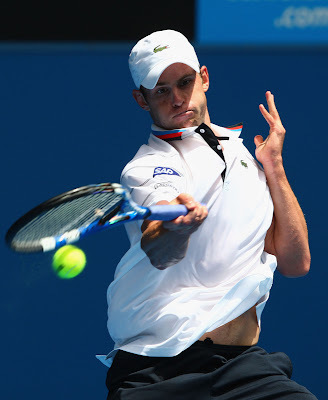 Lucas Arnold (ARG)/Horia Tecau (ROU) bt Wesley Moodie (RSA)/Mikhail Youzhny (RUS) 4-6 7-6(4) 7-5. Colin Fleming/Ken Skupski (GBR) bt Lu Yen-Hsun (TPE)/Janko Tipsarevic (SRB) 7-5 6-4. 17-Jurgen Melzer (AUT)/Philipp Petzschner (GER) bt Marc Lopez/Santiago Ventura (ESP) 6-4 6-1. 8-Marcel Granollers/Tommy Robredo (ESP) bt Matthew Ebden/Brydan Klein (AUS) 6-2 6-4. 5-Lukasz Kubot (POL)/Oliver Marach (AUT) bt Juan Ignacio Chela (ARG)/Daniel Gimeno (ESP) 6-7(1) 6-3 6-1. 1-Bob Bryan/Mike Bryan (USA) bt Michael Berrer/Simon Greul (GER) 6-4 7-5. Rik De Voest (RSA)/Scott Lipsky (USA) bt Rohan Bopanna (IND)/Aisam Qureshi (PAK) 4-6 6-1 7-6(6). Roger Federer may have problem living up to his usual game but at the end of the day, he still won. Igor Andreev had been challenged by his girlfriend Maria Kirilenko to take Federer down after she knocked out Maria Sharapova in the first round on Monday. Perhaps it was too much pressure for the Russian. 26-Nicolas Almagro (ESP) bt Q-Xavier Malisse (BEL) 7-6(12) 6-4 2-6 4-6 8-6. Denis Istomin (UZB) bt 32-Jeremy Chardy (FRA) 6-2 6-2 6-0. Q-Donald Young (USA) bt Christophe Rochus (BEL) 1-6 7-5 6-2 6-4. Marco Chiudinelli (SUI) bt WC-Marinko Matosevic (AUS) 7-6(7) 7-6(3) 4-6 6-3. 3-Novak Djokovic (SRB) bt Daniel Gimeno (ESP) 7-5 6-3 6-2. Stephane Robert (FRA) bt Potito Starace (ITA) 6-3 7-6(2) 7-6(4). Michael Berrer (GER) bt Kristof Vliegen (BEL) 6-1 6-2 6-1. Benjamin Becker (GER) bt Q-Grega Zemlja (SLO) 7-6(5) 7-5 7-5. Victor Hanescu (ROU) bt Juan Ignacio Chela (ARG) 6-4 6-3 7-6(2). Jan Hajek (CZE) bt Robby Ginepri (USA) 7-6(2) 7-5 6-1. Q-Ivan Dodig (CRO) bt 23-Juan Carlos Ferrero (ESP) 2-6 1-6 6-4 6-1 6-1. 22-Lleyton Hewitt (AUS) bt Q-Ricardo Hocevar (BRA) 6-1 6-2 6-3. 31-Albert Montanes (ESP) bt Oscar Hernandez (ESP) 7-6(5) 2-2 ret. 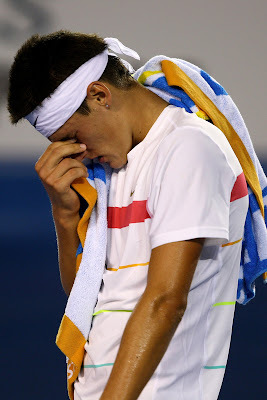 Taylor Dent (USA) bt Fabio Fognini (ITA) 6-1 6-3 6-3. Janko Tipsarevic (SRB) bt WC-Ryan Harrison (USA) 6-2 6-4 7-6(3). Michael Llodra (FRA) bt Martin Vassallo Arguello (ARG) 6-3 7-5 6-4. Alejandro Falla (COL) bt Marcos Daniel (BRA) 7-5 6-3 6-1. Q-Antonio Veic (CRO) bt Daniel Kollerer (AUT) 6-4 3-6 6-7(3) 6-1 6-4. 18-Tommy Haas (GER) bt Simon Greul (GER) 6-7(5) 6-4 6-2 6-1. Marcos Baghdatis (CYP) bt Paolo Lorenzi (ITA) 6-2 6-4 6-4. Q-Illya Marchenko (UKR) bt Carlos Moya (ESP) 7-6(2) 7-5 6-3. 17-David Ferrer (ESP) bt Frederico Gil (POR) 6-0 6-0 2-0 ret. Q-Stefan Koubek (AUT) bt Rajeev Ram (USA) 4-6 6-3 5-7 6-1 6-3. 10-Jo-Wilfried Tsonga (FRA) bt Sergiy Stakhovsky (UKR) 6-3 6-4 6-4. 30-Juan Monaco (ARG) bt Ernests Gulbis (LAT) 6-3 7-6(5) 6-1. Marcel Granollers (ESP) bt 8-Robin Soderling (SWE) 5-7 2-6 6-4 6-4 6-2. 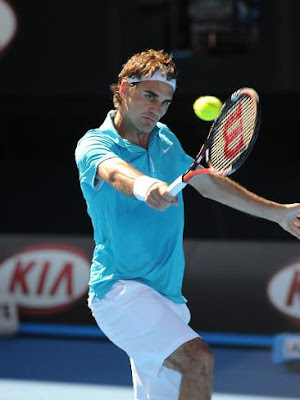 1-Roger Federer (SUI) bt Igor Andreev (RUS) 4-6 6-2 7-6(2) 6-0. Santiago Giraldo (COL) bt 16-Tommy Robredo (ESP) 6-4 6-2 6-2. Marc Gicquel (FRA) bt Simone Bolelli (ITA) 7-6(2) 7-6(3) 6-3. Florent Serra (FRA) bt 28-Jurgen Melzer (AUT) 6-1 6-7(3) 6-4 4-6 6-3. Julien Benneteau (FRA) bt Q-David Guez (FRA) 0-6 6-4 7-6(4) 7-6(2). Lukas Lacko (SVK) bt Leonardo Mayer (ARG) 6-4 6-4 6-0. Lukasz Kubot (POL) bt Mischa Zverev (GER) 6-3 6-3 6-3. James Blake (USA) bt Arnaud Clement (FRA) 7-5 7-5 6-2. 27-Philipp Kohlschreiber (GER) bt Horacio Zeballos (ARG) 6-1 7-5 6-1. Rainer Schuttler (GER) bt 25-Sam Querrey (USA) 6-3 2-6 6-4 6-3. 29-Viktor Troicki (SRB) bt Nicolas Lapentti (ECU) 4-6 6-3 6-1 6-3. 19-Stanislas Wawrinka (SUI) bt Guillermo Garcia-Lopez (ESP) 6-3 6-3 6-2. Thomaz Bellucci (BRA) bt Teimuraz Gabashvili (RUS) 6-3 7-5 4-6 6-4. Q-Ivan Sergeyev (UKR) bt Dudi Sela (ISR) 6-3 7-6(3) 4-6 7-6(8). Feliciano Lopez (ESP) bt Pablo Cuevas (URU) 6-1 6-4 7-5. 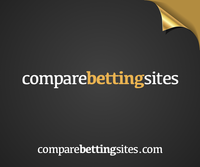 33-John Isner (USA) bt Andreas Seppi (ITA) 6-3 6-3 3-6 5-7 6-4. 6-Nikolay Davydenko (RUS) bt Q-Dieter Kindlmann (GER) 6-1 6-0 6-3. 9-Fernando Verdasco (ESP) bt WC-Carsten Ball (AUS) 6-7(4) 7-6(1) 7-5 6-2. 12-Gael Monfils (FRA) bt Q-Matthew Ebden (AUS) 6-4 6-4 6-4. LL-Marsel Ilhan (TUR) bt WC-Sebastien Grosjean (FRA) 6-4 6-3 7-5. 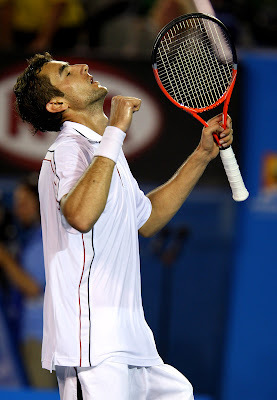 14-Marin Cilic (CRO) bt Fabrice Santoro (FRA) 7-5 7-5 6-3. Igor Kunitsyn (RUS) bt Jose Acasuso (ARG) 6-1 2-6 6-4 6-2. Q-Louk Sorensen (IRL) bt Lu Yen-Hsun (TPE) 6-4 3-6 6-2 6-1. Evgeny Korolev (RUS) bt Daniel Brands (GER) 6-2 7-5 7-5. 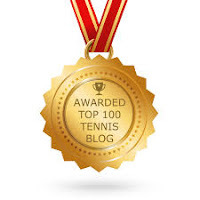 21-Tomas Berdych (CZE) bt Robin Haase (NED) 6-0 6-3 6-3. Jarkko Nieminen (FIN) bt WC-Nick Lindahl (AUS) 6-2 7-5 6-4. Julie Coin (FRA) bt WC-Alicia Molik (AUS) 3-6 7-6(4) 6-3. 17-Francesca Schiavone (ITA) bt Alize Cornet (FRA) 0-6 7-5 6-0. Alberta Brianti (ITA) bt Varvara Lepchenko (USA) 6-0 3-6 6-1. 21-Sabine Lisicki (GER) bt Petra Martic (CRO) 6-1 6-4. Sybille Bammer (AUT) bt Arantxa Parra (ESP) 6-3 6-2. Gisela Dulko (ARG) bt Q-Zuzana Kucova (SVK) 6-0 5-7 7-5. Alla Kudryavtseva (RUS) bt Melanie Oudin (USA) 2-6 7-5 7-5. Petra Kvitova (CZE) bt Jill Craybas (USA) 6-1 7-5. 6-Venus Williams (USA) bt Lucie Safarova (CZE) 6-2 6-2. 10-Agnieszka Radwanska (POL) bt Tatjana Malek (GER) 6-1 6-0. Karolina Sprem (CRO) bt 25-Anabel Medina (ESP) 6-3 6-2. Roberta Vinci (ITA) bt Anna-Lena Gronefeld (GER) 7-5 6-4. Andrea Petkovic (GER) bt Q-Renata Voracova (CZE) 6-2 6-4. Kristina Barrois (GER) bt Akgul Amanmuradova (UZB) 6-0 7-6(6). 31-Alona Bondarenko (UKR) bt Q-Kathrin Worle (GER) 6-2 6-2. 32-Carla Suarez (ESP) bt Ayumi Morita (JPN) 7-5 6-4. WC-Casey Dellacqua (AUS) bt Anastasiya Yakimova (BLR) 6-2 3-6 6-4. 8-Jelena Jankovic (SRB) bt Monica Niculescu (ROU) 6-4 6-0. Sorana Cirstea (ROU) bt WC-Olivia Rogowska (AUS) 6-3 2-6 6-2. Kaia Kanepi (EST) bt Chan Yung-Jan (TPE) 7-6(4) 6-2. Vania King (USA) bt 23-Dominika Cibulkova (SVK) 6-3 6-7(5) 7-5. 1-Serena Williams (USA) bt Urszula Radwanska (POL) 6-2 6-1. Barbora Zahlavova Strycova (CZE) bt Q-Regina Kulikova (RUS) 7-6(5) 6-7(10) 6-3. Tamarine Tanasugarn (THA) bt WC-Sesil Karatantcheva (KAZ) 6-1 7-6(0). Polona Hercog (SLO) bt Q-Yuliana Fedak (UKR) 6-4 6-0. 13-Samantha Stosur (AUS) bt Q-Han Xinyun (CHN) 6-1 3-6 6-2. Sara Errani (ITA) bt Klara Zakopalova (CZE) 6-2 7-6(5). 19-Nadia Petrova (RUS) bt Edina Gallovits (ROU) 6-3 6-4. Q-Angelique Kerber (GER) bt Olga Govortsova (BLR) 6-3 6-3. Ekaterina Makarova (RUS) bt 18-Virginie Razzano (FRA) 6-2 6-3. 11-Marion Bartoli (FRA) bt Rossana De Los Rios (PAR) 6-4 6-1. Katie O'Brien (GBR) bt Patricia Mayr (AUT) 6-3 6-3. 26-Aravane Rezai (FRA) bt Sania Mirza (IND) 6-4 6-2. Sandra Zahlavova (CZE) bt WC-Coco Vandeweghe (USA) 6-0 6-1. 20-Ana Ivanovic (SRB) bt Q-Shenay Perry (USA) 6-2 6-3. 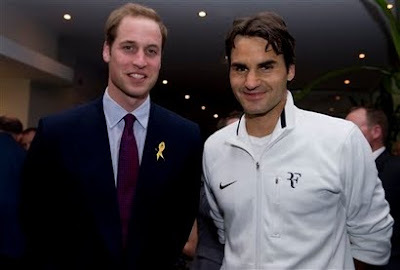 Roger Federer is the one who initiated the fundraiser for the earthquake victims in Haiti last Sunday. 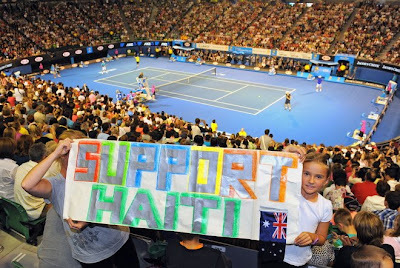 Dubbed "Hit For Haiti", the event raised more than $185k on the eve of the Australian Open. 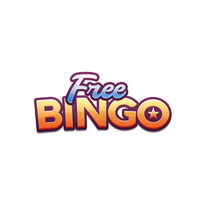 In this event, Federer teamed up with Serena Williams, Lleyton Hewitt and Samantha Stosur. 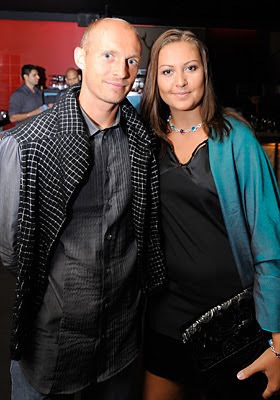 Their opponents were Rafael Nadal, Novak Djokovic, Andy Roddick and Kim Clijsters. 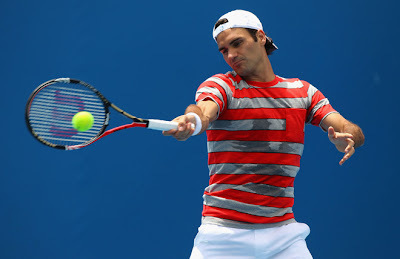 In the end, Federer’s so-called Red Team beat the rival Blue Team 7-6 in their one-set match that lasted an hour and a half. The teams were named according to the colours of Haiti’s flag.